Henry meets Jules at bar. They fall in love. Move in together. Get a family dog. Get married. Have arguments. Make up afterwards. Build a life together. But something goes wrong. Jules becomes ill. Her memory begins to fail her and she has ‘episodes’ at work. She is diagnosed with early onset Alzheimers. Jules’ condition deteriorates rapidly and she returns to Australia to be cared for by her family. Searching for solace and wanting to escape from his former life, Henry takes up a job as a forest ranger in Shosone National Park, Wyoming. Firewatch’s plot synopsis about a man having a midlife crisis sounds more like a screenplay for an Alexander Payne film than the set up for a video game. Which is probably why Campo Santo’s title turned so many heads earlier this year and received polarizing reviews from critics and audiences alike. It’s a game that has the story beats and ambiguous nature of an arthouse film. For some, it was a revelation. Others wondered what all the fuss was about. On his first day on-site, Henry is contacted via walkie talkie by Delilah, a ranger at another watch tower. There is a spark between the two and they develop a bond. Henry is weary and reclusive but he is gradually charmed by Delilah who is playful, flirty and reckless. Their blossoming friendship turns into an embattled comradery when some strange developments begin to occur near Henry’s site. Communication lines are cut. Someone appears to be listening to their calls. And some bratty drunk teenage girls are causing a nuisance down by the lake. Henry’s sense of paranoia builds as he wonders who is out there and whether Delilah is everything she says she is. Firewatch is a character study in broken people. When Henry first arrives at his station, Delilah says as much to him. That only someone with something to hide or something to run away from would take a job in somewhere so remote. She’s talking about herself as much as she is Henry. Henry himself isn’t perfect. Although the introduction to Firewatch gives the player a series of choices to make ‘as Henry’, there is still a selfish undercurrent to his personality. When your wife Jules has a big career opportunity in another city, you can discourage her from taking it or suggest to live apart for a while. Choosing to move with her to a new city isn’t a consideration. Over the course of the game, Firewatch has an interesting mix of player agency and established character traits for Henry that shine through no matter what choice you make. I like the ‘warts and all’ nature of Henry’s persona. He is a world weary Gen-Xer who is no longer sure of how he fits in society. Outwardly, he is a nice guy, if a little conceited. 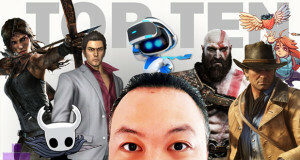 I can’t think of many characters in video games like him and that was why he immediately caught my attention. Firewatch explores Henry’s identity as he tries to make sense of what happened to his life and find some new sense of purpose. Unexplainable events in the forest challenge his sense of trust and morality. 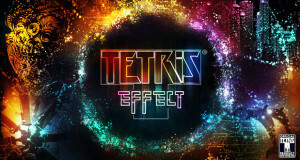 The gameplay itself unfolds in a series of chapters which mark varying passages of time. Sometimes you’ll play a couple of consecutive days in the woods. Other times weeks will have passed. Although it’s possible to be glibly dismissive of Firewatch as being a ‘walking simulator’, I think there are some excellent design mechanics at work. In principle, the player can explore the Wyoming forest in any direction with unfettered freedom. But distinctive landmarks, a compass and clearly signposted instructions from Delilah ensure that if the player simply wants to focus on moving the story forward, they can do so with little hassle. Veering off the beaten path offers rewards for those who choose to do so. There are a couple of Easter eggs in the form of animal critters and outposts with trinkets for Henry to collect. Although Firewatch has a couple of minor ‘collectable item’ components to it, these conventional video game mechanics discreetly take place in the background. I much preferred this approach compared to the likes of Until Dawn which I found to be rather overbearing with the presentation of its collectable game content. It becomes apparent very early on in Firewatch that there is a certain level of ambiguity to the narrative and that a lot of the game’s mysteries won’t be answered in definitive fashion. 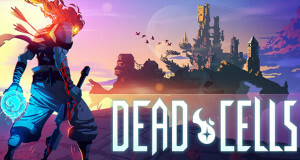 This means that the player’s level of appreciation of the game will be largely dependent on their connection with Henry and Delilah. 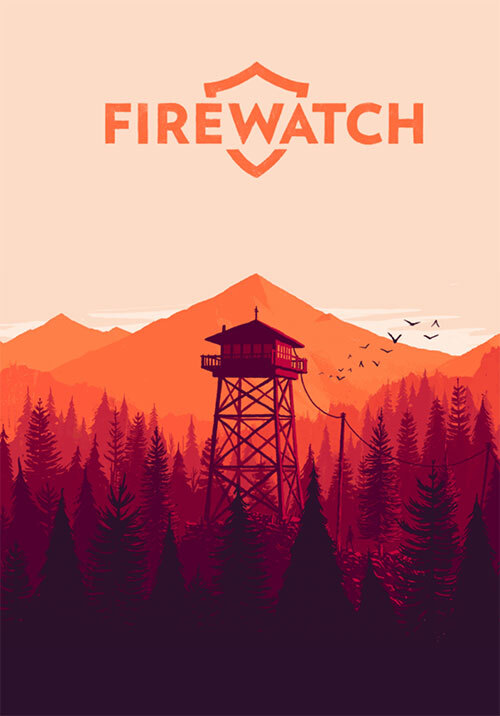 I found Firewatch to be one of the better narrative games that I’ve experienced. Campo Santo writer Sean Vanaman has created a fascinating pair of lead characters and the overall presentation of the game – the sun baked Wyoming forest, the laconic musical score, the distinctive keepsakes of the Eighties – gives it a vibrant, distinct identity. It must be noted that the voice acting work by Rich Sommer and Cissy Jones is excellent too. The quality of the script is what elevates Firewatch amongst its contemporaries. The characters are vividly brought to life by their banter and there is real depth to their personalities. It is not a long game by any means but I felt the pacing was just right. Like a good book or a thought provoking film, the characters, the mysteries and the ending stayed with me long after I completed Firewatch. It’s sure-footedness and many qualities mark Campo Santo as a developer to watch. Summary : Cleverly written, thought-provoking and gorgeous to look at. 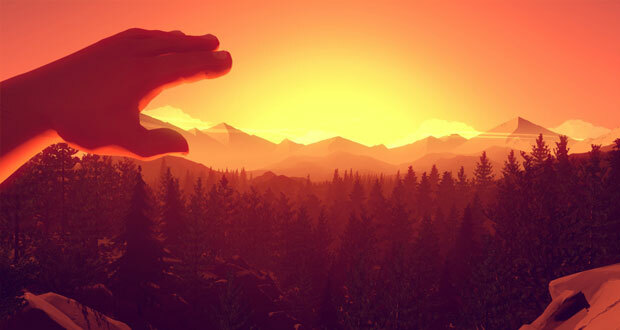 I've never experience anything quite like Firewatch.